Happy Day A Jillian Vance Design friends..
Annette Allen here with you today. So many fun ways you can use this die. I decided to stamp right over the die cut. I really like the way it came out after I added some foam adhesives to give it some dimension. Simple and sweet birthday card. With this fun die and stamp set I did not need much on my card. I used some funky designer paper to really make the card pop. Such a fun card Annette! Love the bright colors~so you!! Great card!!! What a cute way to use the quilt block!! This is super cute Annette! What a creative and and awesome card! 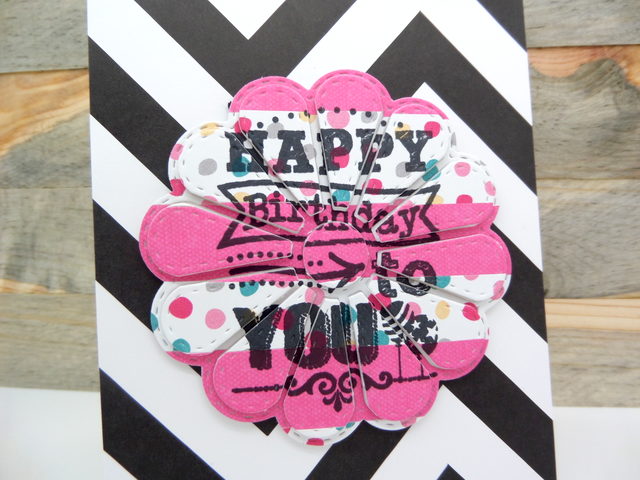 what a totally cool way to use the die... fabulous and fun card! !